Personalized Commuter Tumbler from Promo Direct. The 16 oz. 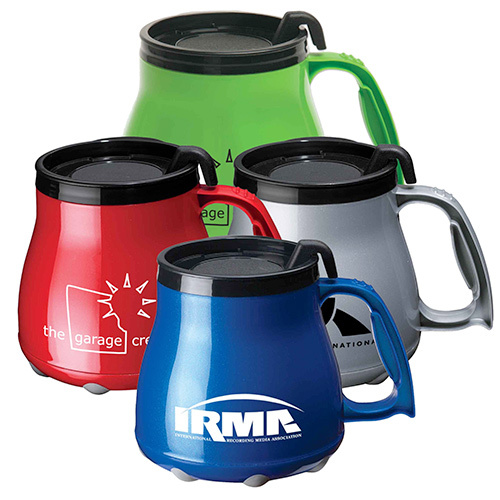 design features a silicone comfort grip with matching lid. 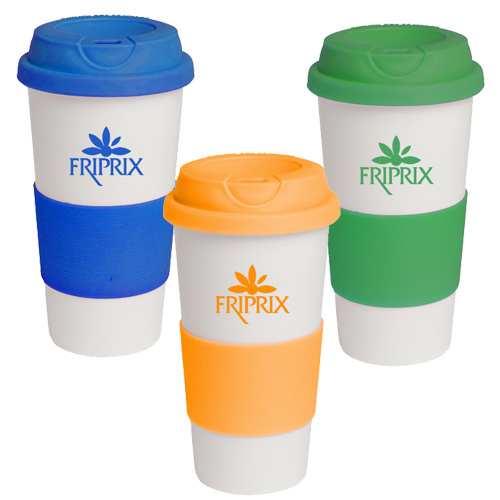 Advertise your product with this promotional commuter tumbler and get noticed instantly. Brimming with brand boosting style, this promotional tumbler would effectively advertise your brand name across all sections and hence repeatedly create brand awareness in the minds of the clients. This 16 oz. 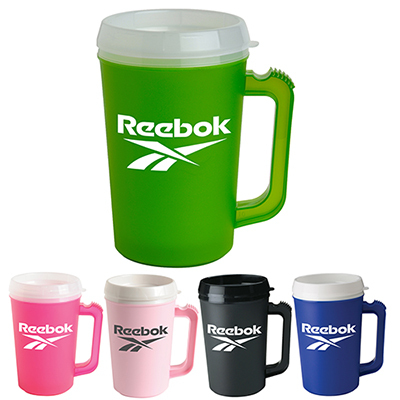 promotional commuter tumbler design features a silicone comfort grip with matching lid. You can distribute such promotional items in school events, corporations, and company picnics and other sports sponsorships. "This tumbler has given me a quite "
Makes handling hot drinks easy when on the go!